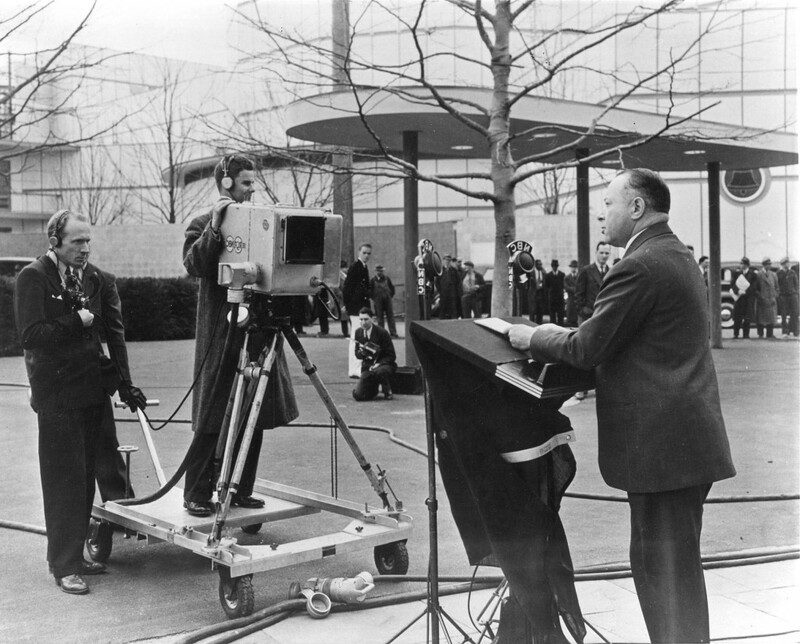 Ten days prior to the Fair’s opening, David Sarnoff, the President of the Radio Corporation of America (RCA), made the dedication speech to open the RCA Pavilion. Staging this event prior to the World’s Fair opening ceremonies ensured that RCA would capture its share of much desired newspaper headlines and publicity. In addition to the audience members who were located at the front of the RCA pavilion, only a few hundred people would have been able to watch the ceremony on television. Although the figure is debatable, there were roughly several hundred sets in the New York area. While some viewers would have watched the ceremony on their won television sets, most of these viewers congregated inside the RCA Pavilion at the fairgrounds, and some watched the receivers on the 62nd floor of Radio City in Manhattan.